We were spending the weekend at Bastrop State Park. 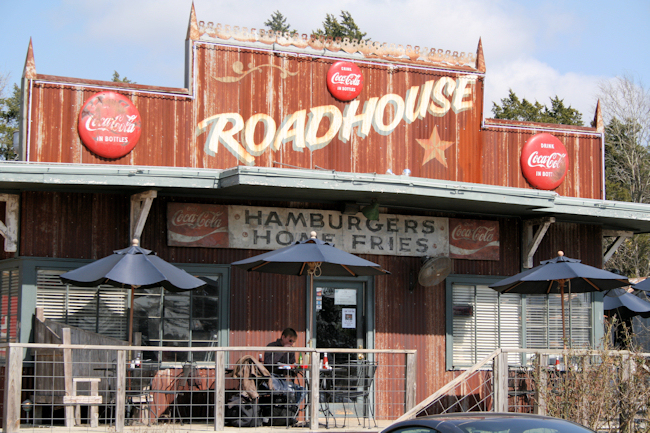 On the way into the park we spotted "The Roadhouse" and I felt the urge for a jalapeño cheese burger almost immediately. 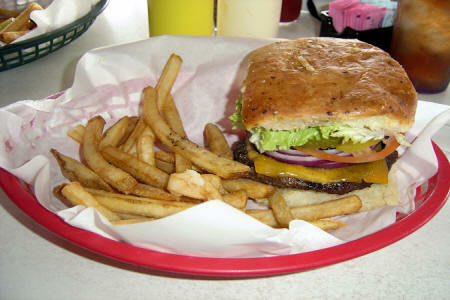 But, we really did not have time right then because we had to go and set up camp The next day after we had done a little running around in the beautiful town of Bastrop, Texas we made it to the Roadhouse. Bastrop is one of the oldest towns in Texas. It is located where the El Camino Real de Los Tejas, also known as the Royal Road, the Old San Antonio Road, and the Kings Highway, crosses the Colorado River. Bastrop is named after a colorful colonial Texas character who was instrumental in the early colonization of Texas. His name was Baron de Bastrop, a Dutchman who most likely was not a Baron at all. But then Texas is and always has been a place of second chances. 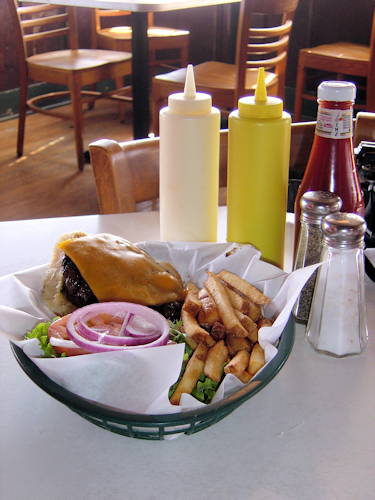 The Roadhouse is located just at the entrance of Bastrop State Park. This lob lolly pine woodland is isolated from the main body of East Texas Pines by approximately 100 miles of rolling, post oak woodlands. This pine-oak woodland covers approximately seventy square miles and is part of most westerly stand of lob lolly pines in the Texas. This island of "Lost Pines" continues through is the almost adjacent Buescher State Park. The drive between Bastrop and Buescher State Park on Park Road 1C is worth the trip.